What is coffee & caffeine addiction? What is a coffee addict with caffeine addiction? Do you know that many people are addicted to caffeine? This is something that is very popular and many do not even realize that it is a problem. They may not have any idea that they have to have the coffee or the soda in their life for them to feel good. This is something that is very common and it may not be so good for the body. Do you think that you might be addicted to caffeine? Can you have a cup of coffee every now and then or do you have to have a cup or two every morning? You may find that you crave coffee or colas to make it through the day. You may not think it is something serious, but when it comes to caffeine, you can become addictive. You may find yourself having many sugar treats and it is all because of your caffeine habits. There are so many people who find it hard to go through the day with a few caffeine fueled drinks and can't go without at least one a day. 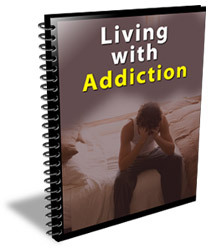 It is time that you learn about your addiction as well as learn how you can cut back. You may think that it is harmless addiction; however, there is no such thing. Everything can hurt you and caffeine can hurt you if you have too much. You do not have to quit drinking coffee, soda, or chocolate, but you need to learn how to minimize what you put into your body to stay healthy. Caffeine is a legal stimulant that can cause serious damage to your nervous system. People who are addicted have symptoms like depression, anxiety, restlessness, upset stomach, nausea, and even vomiting. You will also experience withdrawal if you try to quite caffeine. Caffeine is found in leaves, seeds, fruits, nuts, and more than sixty different plants used for drinks, there are also many medications having caffeine as an ingredient; there is a level of caffeine that everyone can tolerate. You may feel hyped after one cup or you might be able to drink and drink caffeine drinks throughout the day. There are many side effects from taking things with caffeine. In fact, you will end up with headaches and more because you drink too much. It plays games on your mind and nervous system. Caffeine is in a lot of things. It is found in our drinks and in the food that we eat. It is not unusual for someone to have a lot of caffeine in a day and not even realize it. However some people do know it and they want more of it. This is an addiction that is going to need to be addressed at some point in the person's life. They have to find a way to make the caffeine addiction get under control. Caffeine is a substance that occurs naturally in some plants. It is used in so many things that we eat and drink in our daily lives. Most important it is found in coffee and chocolate to name a few of the favorites in our life. Caffeine is also sometimes added to medicines to help make people feel better. How can something like this be bad for us then? The problem is that too much of it can be harmful to our bodies and make us sick without even knowing it for sure. Caffeine is often known as the most common drug in the world. Many rely on it to keep the alert when they are feeling tired and they absolutely have to stay awake. The stimulation effect that it has on the body is amazing and many feel that they cannot live without the caffeine that their body loves so much. However, once a person has used the caffeine so much, their body does rely on it and it is harder to break the cycle so that it does not need it anymore. Caffeine blocks our relaxation skills that are put into our brain. It causes the body to secrete more hormones like adrenaline and makes us more active. It gets us in the mood for the things that we know that we have to do. Some people drink caffeine non-stop all day long and this is why they cannot relax and even sleep at night. The bad part about a caffeine addiction is that it is not good for our body. Our health may suffer because of the caffeine that we put into our bodies. This is something that we have to deal with and learn to do without so that we are able to make the most of our life and get healthy once again. More than 150 hormones including DHEA, testosterone, and estrogen are produced or metabolized by the adrenal glands. These extraordinary glands are thus very important to good health and longevity. If you're whipping them everyday with caffeine, expect your aging process to accelerate especially as you hit your forties when hormone production starts to decline. High levels of cortisol, which unfortunately can stay elevated as long as 18 hours after a cup of coffee, will compromise your immune system and interfere with your body's ability to fight off pathogens. And if you are one of those coffee drinkers who can go right to sleep after a double shot of espresso, ask yourself, why am I still waking up exhausted and reaching for another cup of coffee? You may sleep, but caffeine interferes with you reaching the stage of deep sleep called Stage Four sleep where your body does its essential rebuild and repair work. And how about the way you feel when driven by caffeine? Remember the last time you or someone else flew off the handle when faced with an everyday challenge? It would be interesting to know how many cups of coffee preceded the meltdown, because caffeine lowers the brain's "stress threshold". Events that we would normally handle with aplomb, suddenly become insurmountable. Consider that most working adults consume 300 mg or more of caffeine (20 oz of drip coffee) before lunch, often on an empty stomach. Research shows conclusively that this can produce anxiety, irritability and in some individuals, panic...exactly the opposite of what we need when facing life's inevitable delays or conflicts. If you or your mate end the day stressed out and exhausted, depressed and worried, remember that caffeine is the greatest cause of stress in our culture. What Causes coffee & caffeine addiction? It is absorbed into the body quickly and goes directly to the nervous system and brain. It does not go into the bloodstream, but it is excreted through urine hours after consumption. People who find themselves addicted need to gradually reduce their intake amount. They need to break the habit by drinking the same things without the caffeine. You can drink decaffeinated sodas and coffee; in fact, it will help you ease out of the habit. There are many reasons why people become addicted to caffeine. They get addicted to it because they like the pick 'me ups'. They like the bursts of energy quickly. It also feeds out emotional needs. You will become addicted because you think that things are better with a cup of coffee because your blood becomes pumping. If you need additional motivation to cut back on your caffeine levels, keep in mind the following health problems that can be exacerbated by caffeine. Aging: Many people find in their forties that they can no longer tolerate the same level of caffeine consumption as they could in their twenties and thirties. 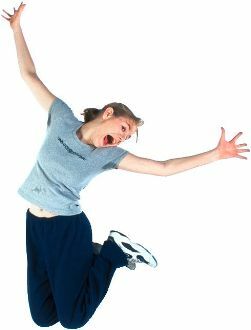 The production of DHEA, melatonin, and other vital hormones start to decline and caffeine speeds up that downhill drop. Conversely, cortisol, a stress hormone, increases in productions as we age and caffeine increases cortisol levels in the blood for up to 18 hours. Caffeine dehydrates the body and contributes to the aging of the skin and kidneys. It has been shown to inhibit DNA repair and slow the ability of the liver to detoxify foreign toxins. What dangers can drinking coffee bring? Coffee has become part of our every day meals. In fact, most Americans wouldn't be able to wake up properly without a jolt of caffeine to their systems. They need that steaming cup of coffee to start the day with energy. While coffee boasts of several advantages, it is also poses several dangers to the body especially when taken in excessive amounts. Although coffee is basically coffee granules, some water and sometimes sugar or milk, it is a potent drink especially when combined with the body’s natural acids. Unknown to many, caffeine, which is the main component of coffee, can combine with the stomach acids to form a toxin in the body called caffeine hydrochloride. When this toxin reaches the liver, the body naturally produces a bile that will help remove the toxin. This is the reason why some people think that coffee can aid in their digestion because of bowel regularity. Coffee contains the chemical trichloroethylene in large concentration due to the use of pesticides in coffee plantations. The chemical is used mainly as a solvent and a cleaning agent in the clothing industry. It is also used in the metal industry as a degreasing chemical. Trichloroethylene has been linked to some types of liver cancer. Another potential chemical in coffee that may harm the body is the chlorogenic acid, which has toxic side effects. Coffee also contains an oil that can adversely affect the gastric mucosa. Because of this, the adrenal glands are frequently secreted, thus the feeling of always being full of energy. However, too much secretion of the hormone adrenaline can result in a rise in the blood pressure, tension in the body and low energy. The mood may also be affected as well as the appetite. People who are taking drugs or any mediations for pain, obesity, hypertension or depression are advised not to drink coffee as all their efforts in getting well could be wasted. A patient with high fever can also be harmed by coffee and is better off drinking lemon juice or even tea. People who drink coffee often can develop a deficiency in Thiamine or Vitamin B1. This can cause fatigue and nervousness. There is also general malaise as well as aches and pains in the body. Headaches are also common. In addition, drinking too much coffee may also prevent the nutrients in the food that you eat from being absorbed by the intestines. Caffeine withdrawal headaches can be incapacitating. Often they are accompanied by fatigue as your body starts to recuperate from its former caffeine-driven pace. It may interest you to know why you get a headache when you skip your morning cup. Caffeine, you see, acts a as powerful vasoconstrictor in the brain. That is, it constricts blood vessels in the brain and decreases circulation! When caffeine is not present, the sudden increased circulation causes headaches. While this keeps millions of people addicted to the caffeine habit, the good news is that you can avoid this pitfall by slowly weaning yourself off caffeine over a two to three week period. Start by mixing your normal coffee 3/4 to 1/4 herbal coffee. Gradually reduce the percentage of your coffee over a two-three week period until you are drinking 100% herbal coffee. You should be able to avoid the headaches and also gradually adjust your body to less reliance on stimulants. Why not just switch to decaf coffee you may ask? Decaf still contains approximately 7 mg of caffeine per 6 oz cup, enough to give healthy adrenal glands a good jolt. Decaf still has all the coffee acids and oils that may be giving you problems with your digestion or liver. In fact, since decaf is made from stronger flavored but highly acidic robusta beans, it tends to be even more caustic than regular coffee, which is usually made primarily from the higher grade arabica beans. Scientific studies have shown that decaf raises blood cholesterol levels faster and higher than regular coffee! The acid issue is also significant. A steady diet of highly acidic foods and beverages can strain the body's alkaline balance. In order to neutralize dietary acids, our bodies use calcium as a buffering agent. Coffee thus creates a "double-whammy" by using up available calcium and at the same time causing increased excretion of calcium in the urine. The net result is that coffee drinkers rapidly deplete their calcium reserves and are at increased risk for osteoporosis. This can be a devastating problem for post-menopausal women and is also a significant factor in men's health. If that wasn't bad enough, most decaf coffee is still being processed with toxic solvents such as methylene chloride. While most of the chemical is washed off the beans after the decaffeination process, it is impossible to remove it all, and significant residue has been found in the final product. Even the Swiss water process exposes the beans to a very hot water bath that removes much of the flavor along with most of the caffeine, leaves behind the oils and acids, and requires a chemical solvent to speed up the process. The fact remains that the finest decaf still carries significant health risks. As many coffee drinkers have discovered, you never know the myriad ways that coffee and caffeine effects are affecting you until you quit. Your body is like a sophisticated laboratory that specializes in one thing: you. If you listen carefully, it will tell you exactly what it needs. But it is hard to hear its signals if it is stressed out by stimulants. You may be experiencing pains and discomforts you would never imagine were caused by caffeine until they miraculously disappear after you quit coffee. The body's reaction to the toxicity of coffee can vary so greatly that you have to discover how it is uniquely affecting you. Look for improvements in your skin, digestion, sleep, mood, and energy among others. Don't be surprised if three months after quitting coffee, you discover you feel better than you've felt in years and your energy supply stays steady all day long. Then, if you have an occasional late night when you need that extra alertness to keep you going, use caffeine like any drug should be used - on occasion but never habitually. When a coffee drinker quits caffeine, they miss that drug induced jolt that gave them the sensation of having enough energy to get going. What they really need is a true natural energy lift. Herbal coffee, unlike coffee beans, actually has calories because it is made from herbs, grains, fruits and nuts that contain food nutrients. The herbs in herbal coffees are naturally high in potassium. Potassium is added to sports drinks to help athletes recover their energy after workouts. Herbal coffee has twice the potassium as Gatorade® whose potassium is artificially added. So herbal coffee gives the body a natural energy lift that is produced by the body's own natural energy systems. Some people find their natural energy returns easily but others suffer from some energy lows during the first few weeks after quitting coffee. Allow yourself to feel more tired than usual. Your body is giving you some important signals you may have been ignoring for some time as you continued to seek energy from caffeine. That tired feeling is temporary but you may find you need to catch up on some much needed sleep. Herbal tonics that help rebuild adrenal health and detoxify the body can help you restore your natural energy more quickly. Siberian Ginseng (Eleutherococcus senticosus) and Panax Ginseng (Panax ginseng or quinquefolius) traditionally combined with licorice are considered adrenal tonics. Both are classified as adaptogens, herbs that strengthen the immune system, the nervous system and the glandular system. Other adaptogens which can be of help to weakened adrenals are astragalus, schizandra berries, ashwaganda and wild yam. You might also consider some herbs to help detoxify the liver, kidneys and bowels. Herbs such as milk thistle, burdock root, parsley, uva ursi and psyllium seeds can strengthen and support taxed systems of elimination that have been exhausted by too much caffeine. Remember to drink more water - at least 8 cups per day - during this detoxification period. Nutritional supplements that support adrenal health are the B vitamins and in particular pantothenic acid (B-5). If you need an additional energy boost during your recovery, try a bioenergetic nutritional supplement that has Co-Q10, alpha ketoglutaric acid, chromium, and potassium and magnesium aspartate. You'll find it gives you a real energy boost by increasing metabolic efficiency rather than stimulating the nervous system. This approach can be likened to feeding the horse rather than whipping it. Beware of products parading as energy uppers that simply contain more harmful stimulants. Many of them depend on caffeine from lesser known sources such as guarana, kola nut, and yerba matÃ©, or ephedrine from Ma Huang. Clearly with food, alcohol medication addictions or any substance abuse problems, it would be of benefit to cleanse the body thoroughly from all the toxins the system would be swamped with. We have an article and resources here to help facilitate a good detox program and support a detox diet you may choose to undertake. Changing you drinking habits to a herbal beverage like green tea would also be of great help. Green Tea also has a detoxing and anti-oxidising aspect that is a great bonus, compared to the problems you ‘get’ with coffee. It may be that your metabolism has slowed due to pressures that have been placed on your system through addictive behaviour or through specific “challenges” you have faced in the last few months or last few years. Review this by looking at our article about balancing your Metabolic Rate. Further reading through our articles on health issues will give you a body of information that will help you decide what options you have to deal with the underlying causes of your coffee addiction problem through giving your body the nutrition products that will assist you body to heal from the inside out. What are The Effects of Coffee On The Body? What are the effects of coffee? Studies have shown this can boost the person's alertness, improve performance and concentration. Internally, this means an increase in the heart rate, blood pressure and basal metabolic rate. It will also promote urine production and can help relax muscle tension. It is because of this that many use coffee while studying for an exam, to help wake up in the morning or while working through the night. 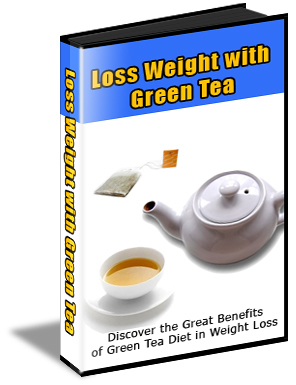 "Have you heard about Green Tea for Weight loss?” Free Report Reveals the Miracle Cup: The Health Benefits of Green Tea! No matter how good your morning cup of coffee, in the afternoon and in the evening, plus steaming cups in between meals; it is best to drink it at a minimum. After all, too much of anything isn't good. However if you can't put a stop to your daily stimulant and it will take a while before you do quit the habit, here are some tips that can help you make each cup a little healthier. Contributing Author: Caroline MacDougall is the founder of Teeccino, an herbal coffee company endorsed by many of the world's most famous natural health experts. SITE DISCLAIMER: Do these products “cure” anything? Of course not… but it stands to reason that if you cleanse your body and feed it the finest nutrition available, giving it everything it needs in balance, on a daily basis, that your body will do what nature intended, and give you the best possible chance to fend off sickness and disease. This coffee & caffeine addiction information is not presented by a medical practitioner and is for educational and informational purposes only. The content is not intended to be a substitute for professional medical advice, diagnosis, or treatment. Always seek the advice of your physician or other qualified health provider with any coffee & caffeine addiction questions you may have regarding a medical condition. Never disregard professional medical advice or delay in seeking it because of something you have read. Any natural and/or dietary supplements that are not FDA approved or evaluated must be accompanied by a two-part disclaimer on the product label: that the statement has not been evaluated by FDA and that the product is not intended to "diagnose, treat, cure or prevent any disease”. The coffee & caffeine addiction resources on this site are not intended to be a substitute for professional advice. While all attempts have been made to verify information provided in this publication, neither the author nor the publisher assumes any responsibility for errors, omissions or contrary interpretation of the web site coffee & caffeine addiction subject matter herein. The site coffee & caffeine addiction contents are solely the opinion of the authors and should not be considered as a form of advice, direction and/or recommendation of any kind. If expert advice or counseling is needed, services of a competent professional should be sought. The author and the Publisher assume no responsibility or liability and specifically disclaim any warranty, express or implied for any products or services mentioned, or any techniques or coffee & caffeine addiction practices described.